cute scan. Many thanks for sharing it. Haha, he seems to enjoy himself in the rabbit suit. Thanks for sharing! 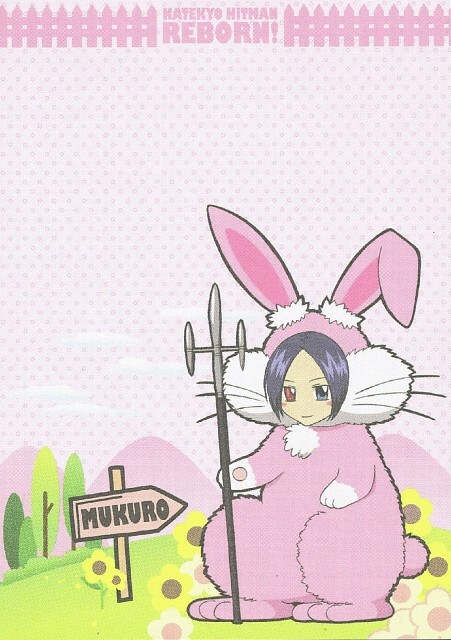 I LOVE MUKURO ROKUDO <3 daslkmdalksdmalksdmkaslmdklamsdlkasmdioeqweqw he is so cute ! thanks for the nice scan! Kyaaaaa, Mukuro san wa hontou kawaii yo! Thank you for sharing this scan.